In an effort to further appeal to students, Microsoft Wednesday announced updates to its SkyDrive cloud storage service including a recycle bin for the cloud. The new features are intended to streamline group projects and provide a safety net for work in progress, addressing concerns submitted by students, says SkyDrive Group Program Manager Omar Shahine in a blog posting. 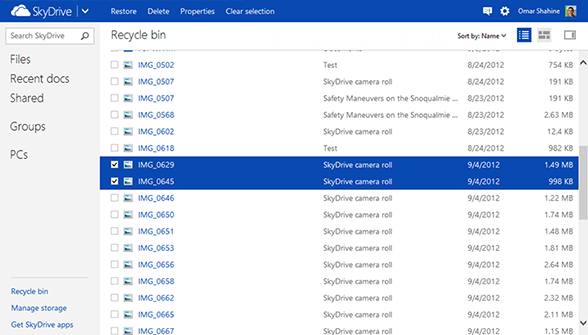 The SkyDrive recycle bin stores deleted files for at least three days, just in case a classmate accidentally trashes an important document from the cloud. If the deleted docs take up more than 10 percent of your storage limit, they will be removed after three days. The recycle bin update is being rolled out now and will be available to all users within the next 24 hours. Browse the recycle bin in thumbnail or details view, and restore items to their original location. Students are a key market for SkyDrive, Shahine said, which is why Microsoft offers tips on how students can best use SkyDrive for cloud storage and also why the company earlier this year hosted a collaboration challenge for students using SkyDrive to compete in college business plan competitions. Students also asked for survey tools within Excel, Shahine said in his post. 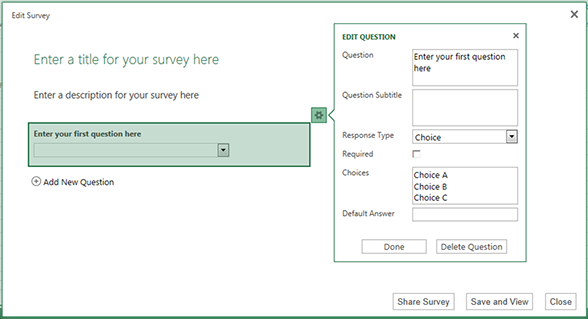 The program will soon allow people to create surveys with multiple question and response options that can then be shared with others from within Excel. Shahine said the update is in development and will soon be available in SkyDrive. Surveys can be created using an Excel template of that handles a variety of question and response formats.